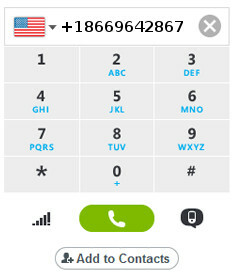 If calling HostGator from outside the United States, click the flag above the dialpad to select the U.S.
Click the green call button to connect. Once the call is completed, you can save the number dialed in your contacts for easy reference next time by clicking the Add to Contacts button. For other ways contact HostGator, please view our contact page.